If you are considering filing for bankruptcy in Edmonton, Alberta you first must know that you are not alone. In 2010 calendar year there were 140,234 Canadians who had to file either a bankruptcy or a consumer proposal. While most Edmonton residents do not want to file for bankruptcy, it is a legal process that exists to help people who are hopelessly burdened with debt to get a fresh financial start. The process is designed to be relatively simple and intended to provide you with an opportunity to both be cleared from your debt and develop tools and strategies that will help you move forward financially. 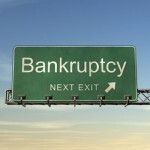 How do I know if I should be filing for bankruptcy in Edmonton? Most residents of Edmonton are unsure whether they should be considering bankruptcy or not. We often suggest that there are a number of indicators that suggest you may need to consult with a Trustee. Consider the following signs of debt problems that need professional intervention. If you are struggling with any of the indicators above you could be in dangerous territory and may need outside help to fix the problem. The best way to know is to set up a free initial consultation with an Edmonton Bankruptcy Trustee. For no cost our professionals will sit down with you and conduct an assessment of your situation. They will examine your assets, debts, income and expenses and help you to determine if a bankruptcy is right for you. They will also help you to consider any options to filing bankruptcy. It is not the goal of the trustee to convince you to file bankruptcy, trustee’s are involved in many things other than just bankruptcy, but they will help you objectively look at your situation and develop a plan to deal with your debt that is tailored to your situation. allow you to protect your remaining assets. As part of the process you have certain duties and responsibilities that must be fulfilled for you be legally cleared from your unsecured debt. For more information regarding how a bankruptcy works you need to contact a local trustee who will be able to review your situation in detail and advise you appropriately. Who Can file for bankruptcy in Edmonton? What other alternatives exist besides filing for bankruptcy? What option is best for your situation typically depends on monthly cash flow. The general rule is the greater room in your monthly cash flow the more likely you can look at a consumer proposal or one of the other options available. When considering the filing of a personal bankruptcy it is important to meet with a licensed trustee. The filing of a bankruptcy is a legal process that must be approached correctly. To get a better understanding of filing for bankruptcy in Edmonton it is best to contact a local trustee for a free in-person consultation where your situation can be assessed and the filing of a bankruptcy and the available options can be discussed.